This app was just launched a few moments ago. 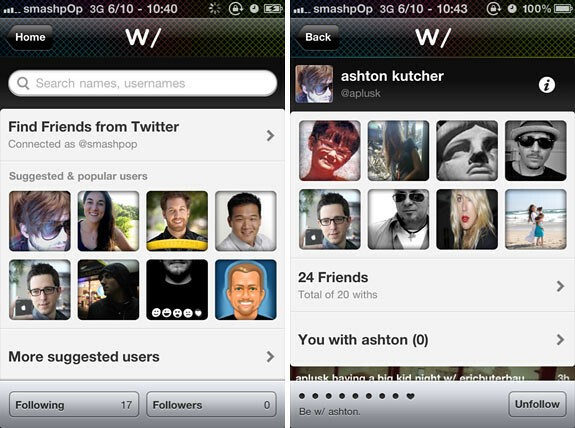 It’s an app for Twitter users to tell the world who they are with, hence the name of the app “With”. – Share who you are with. Photo optional. – Free and Premium Lenses for making your photos better. – With is an interaction network. The friends you are with most often rise to the top of your profile. – Friendship has its benefits. Closer friends receive special benefits…with more to come. – Built entirely on top of Twitter with Twitter Single-Sign On. 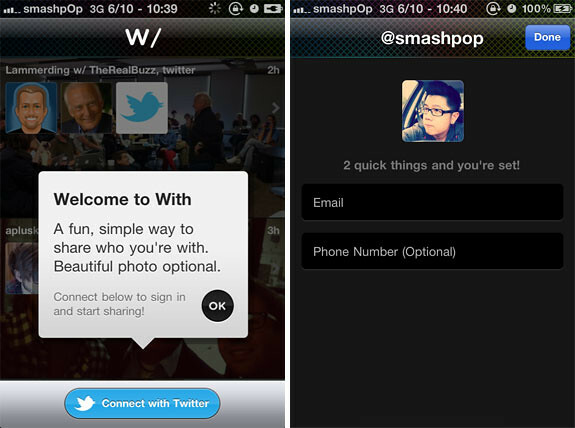 So once you have logged in with your Twitter ID, you will see this screen on the left. It’s the hub for you to discover new users, find friends and see who you are already following. Tapping on a user will bring you to their profile page like the screen on the right. Left screen: list of users you follow. Right screen: When you are done with adding friends, go back to main screen, tap CAMERA button and you can start typing who you are with, along with a little caption of what you guys are doing, press NEXT, and you can add a photo of you and your friends. 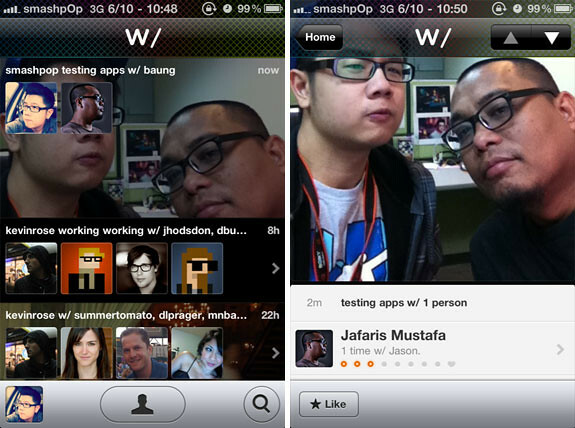 Once you have done sharing, your ‘With’ timeline will have the photo of you and your friends along with updates by other people you follow. Scroll up or down to view who are you friends with. Tap on an individual feed will bring you to the detailed screen where you can view the enlarged photo and you have the option to “Like” it. 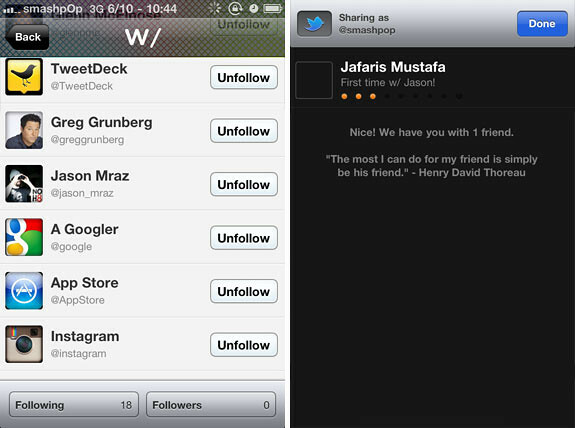 Try out “With” now if you are a Twitter user, always out with friends, and wants to share with people who you are with.